Dunlop’s Geomax MX11 has been designed to take on the sandiest conditions and deliver. The tyre has outstanding traction over sandy terrain, and gives you excellent stability on the bumps and humps and uneven surfaces, whoops and ruts are no obstacle for the tough tyre. 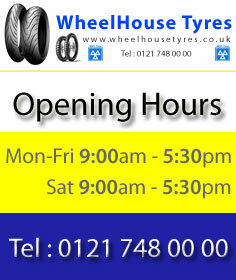 Clever cross knobs detailed in the central pattern help to increase the tread life of the tyre on hard packed surfaces. 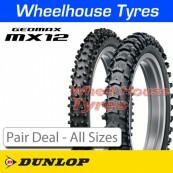 Dunlop’s Geomax MX12 has been designed to take on the sandiest conditions and deliver. The tyre has outstanding traction over sandy terrain, and gives you excellent stability on the bumps and humps and uneven surfaces, whoops and ruts are no obstacle for the tough tyre. Clever cross knobs detailed in the central pattern help to increase the tread life of the tyre on hard packed surfaces.